It was pretty frustrating having no wind at the festival and then finding out that there was wind for the kite club fly at home. 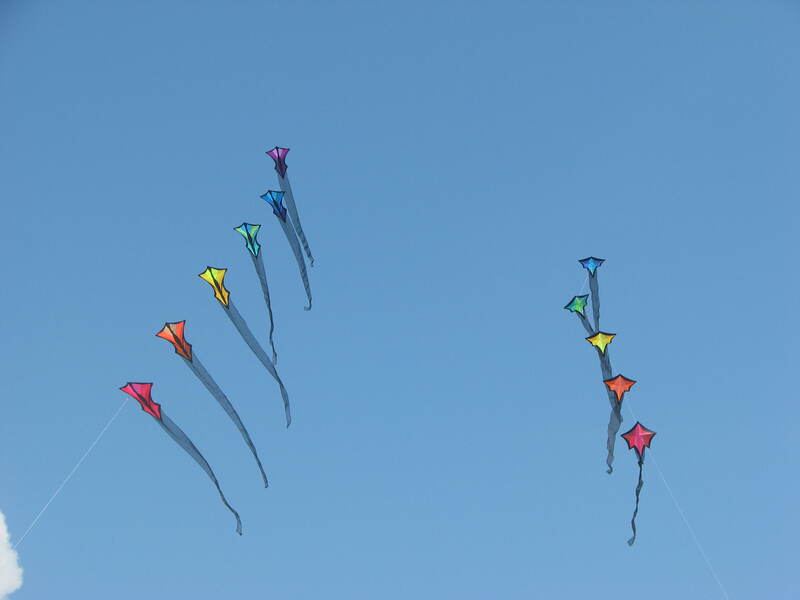 So to make up for it, we went to the kite field more than usual this past week and a half. The fact that the temperature moderated at a very comfortable level was a bonus. It was so relaxing. The winds were actually a little strong the first evening we went to fly. I had just gotten the Brasington Central Station train and had yet to fly it. So I put it and my Waif train up, You will notice that the Waif train has five kites and the Central Station train has six. Well, the Waif train I made at a Brasington kite building workshop and I have yet to finish it. The sixth Waif is on the table waiting to be sewn. Guess I had better get to it now. 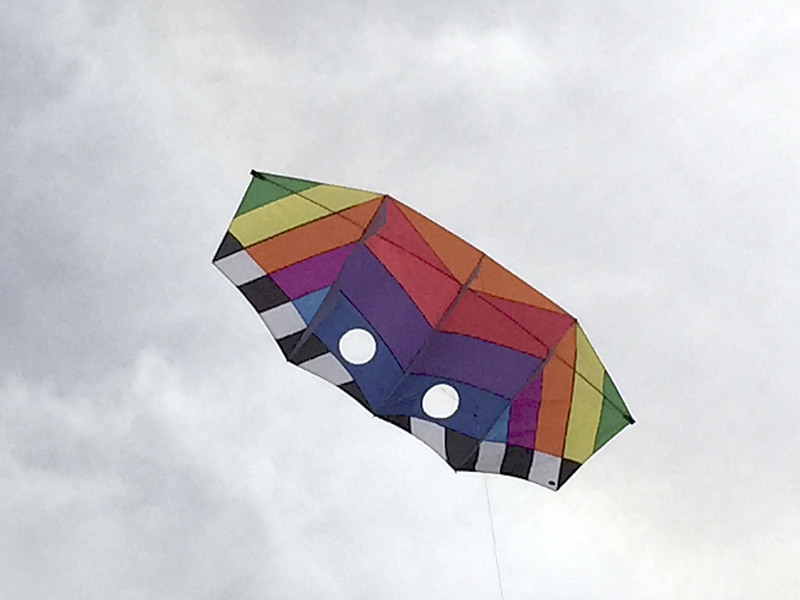 John put up his Vertical Visions Malay kite. 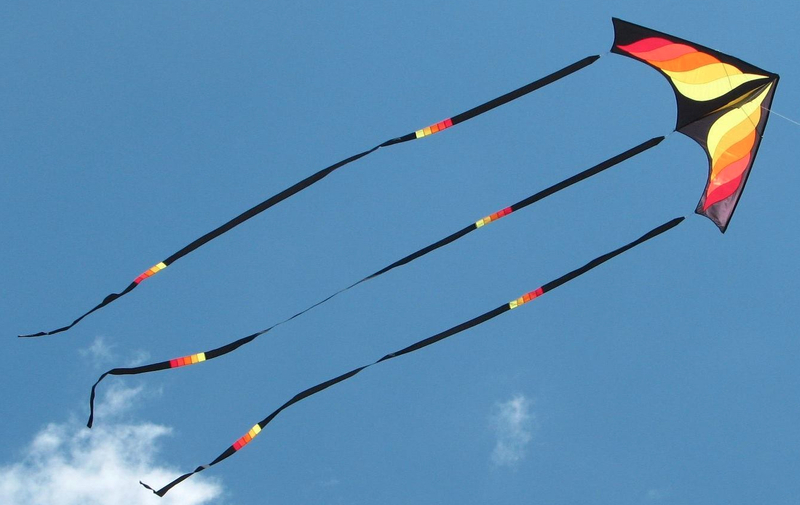 I’m thinking of getting this same kite in the opposite color scheme. It is so easy to fly and looks great. 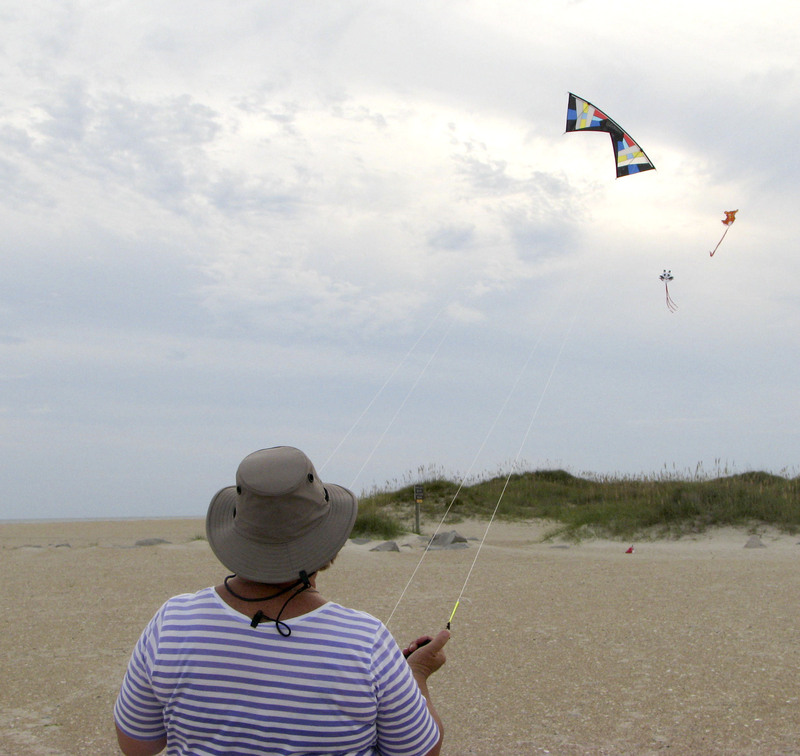 The weekend arrived and it was time for the Carolina Kite Club fly. 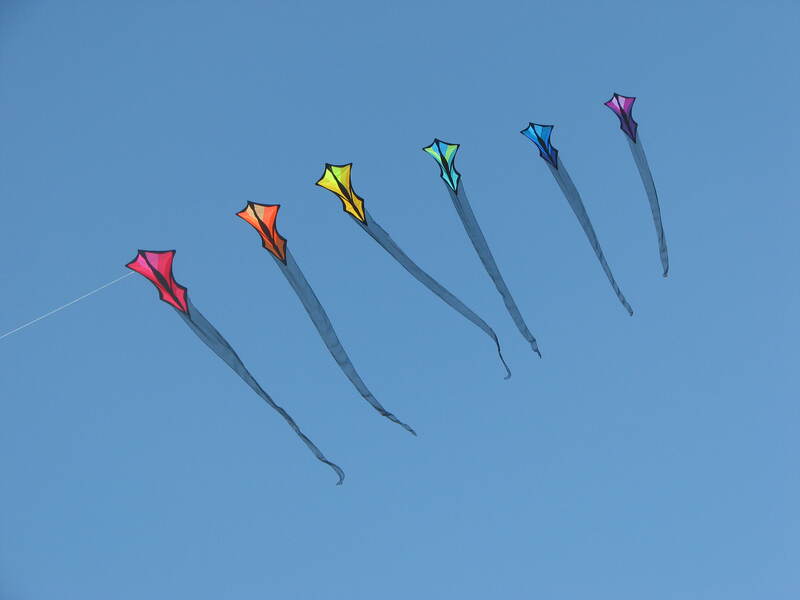 Several of the Critter Kites by Skydog; the Wolf, the Tiger and the Bumblebee, flew as well as the Central Station train and the Vertical Visions Malay kite. 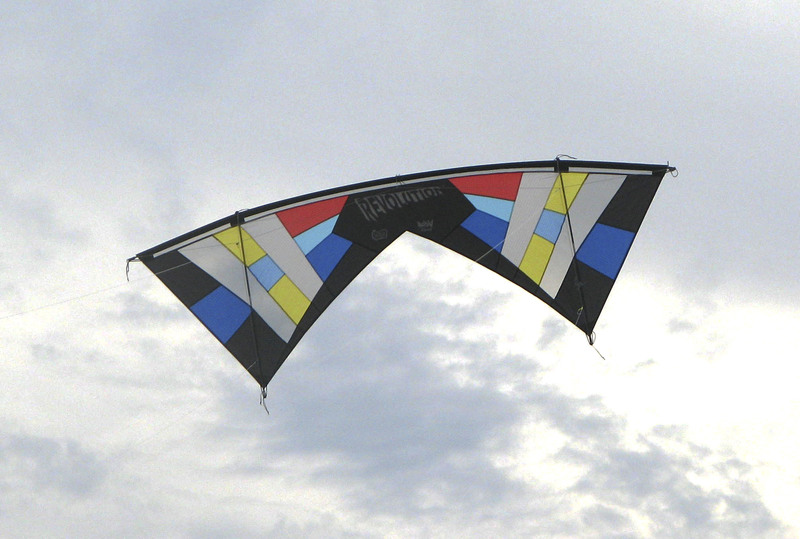 We also put up the Triton Kite. This is a modified genki design which pulls like a tank. 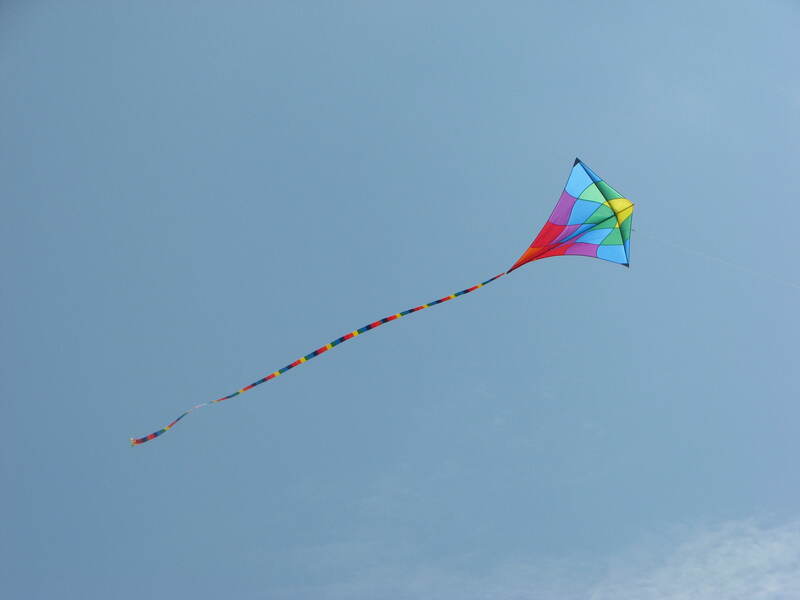 It is a steady flying kite, even in the gusty winds we had that day. This will be a good kite for lots of line laundry. Especially I’m thinking our red wiggly worm and yellow little man. Haven’t had them up in a long time. 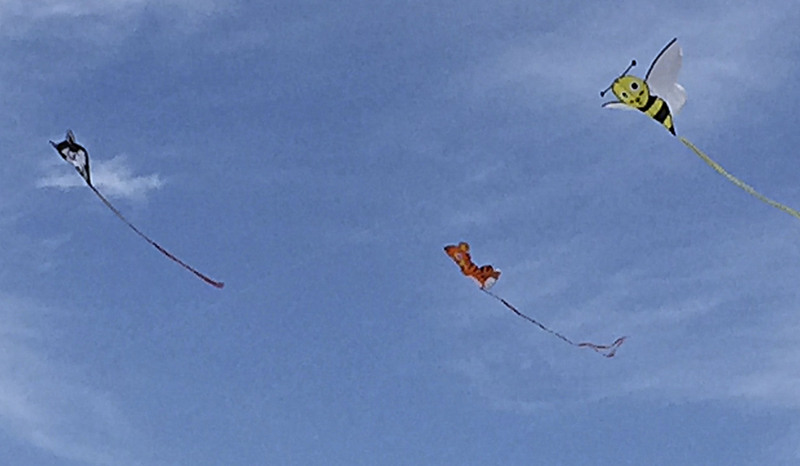 There were a couple of new people who joined us to fly a stunt kite, a delta kite and the EO Atom by Prism Kites. Today was a day we just couldn’t pass up. It was at least ten degrees cooler than the past few days and the winds were steady at a moderate 11-12 mph. So when our errand were done, off we went to the beach. 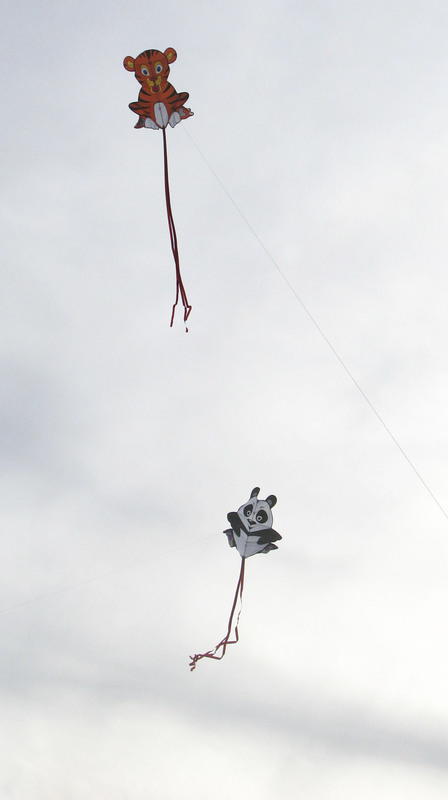 We put up two of our own Critter kites and I practiced with one of my Revs. It had been a while since I had flown the Custom B-Pros and this was the perfect day for a mid-vent. I spent the time working on hovering and reverse diagonals. Still haven’t figured out the inverse hover but I think it will come eventually. There was practically no one on the beach which made for a very quiet, pleasant stay. Then the sun began to go down and the park rangers wanted to close the gate.